Have you ever taken a video with your phone that you thought was taken correctly, only to find later it was rotated upside down or in some other direction? Luckily there are different options to help rotate and flip your video. This FREE app is easy to use and can be installed on your iPhone or iPad. After you rotate or flip your video, the app will not leave a watermark on your newly saved video. Another bonus is that there is no time limit. Your video can be short or long in length of time. Select the video from your photo library, you'll have an option to crop (if needed). On the bottom, you will see icons to Rotate: counterclockwise or clockwise & Flip: vertically & horizontally. Once your video has been rotated and flipped, click Export on the top-right corner. You can then select "Save Video" and your new video will be saved back into your iPhone or iPad Photo Library. You could also select to save it into your Google Drive. iMovie - iMovie software must be installed on a Mac desktop or laptop. 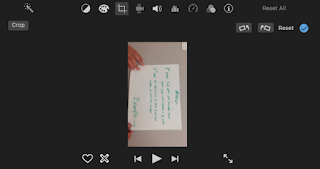 Import your video (called "media" in iMovie). Your video will be located in "My Media". Click on the video clip you want to rotate. On the top-right you will see a crop icon. Click the crop icon and then on the top-right you will see rotate left and right icons. These will allow you to rotate your video. 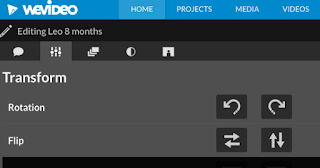 WeVideo - WeVideo is web-based and can be used on Mac, PC, desktop, laptop, and Chrombook. 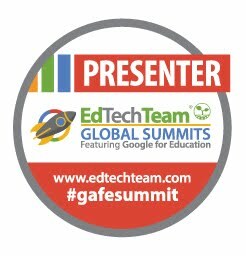 You can sign-up and login with your Google account or register using an email address. 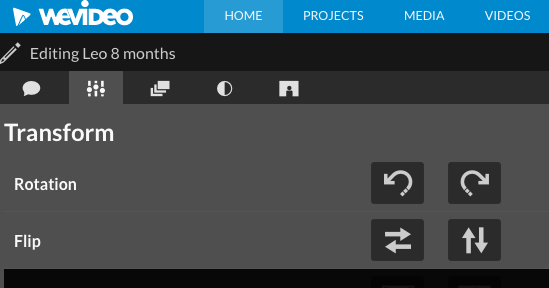 WeVideo has a free and paid "premium" version. Import your video (called "media" in WeVideo). Once your video is imported into My Media, drag the video into your Timeline or Storyboard. Click your video clip and you will see a pencil which allows you to edit. Click the pencil. ** Exported video in WeVideo will have a WeVideo watermark and bumper unless you are using the Premium or paid version. Under Transform, you will see Rotation (Left or Right) & Flip (Horizontal or Vertical). 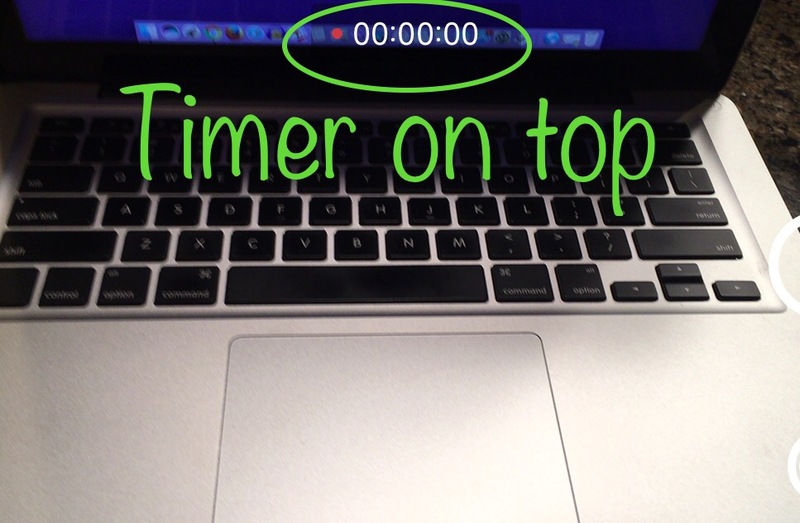 To help prevent your videos from being rotated in the wrong direction, notice where your timer is when taking video. If you're taking a video and the timer is on the bottom of your screen, your video will be upside down. 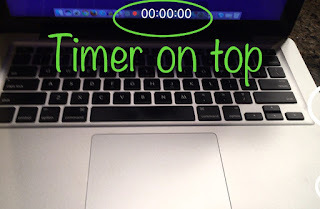 The timer should be located on the top of your screen.